I’ve always wanted to be thought of not only as an excellent dentist, but also a compassionate and kind person. I want my patients to feel my care and concern for them. I truly want each to know that he or she is important to me as a person, and I want only good things for everyone and their life. I enjoy getting to know my patients on a personal level: learning about their history, lives, interests, families, and professions. I learn so much from each person and every conversation. Those exchanges broaden my world, increase my appreciation for the diversity of our community, and — I think — make me a better dentist and better human. The long-term relationships that have grown with my patients are important to me. I’m honored to care for many family members from multiple generations, as well as their friends and extended family, and am humbled by the trust they place in me. My father was a dentist. By the time I was seven, I knew I wanted to be a dentist, too. I was fortunate to work with my father in our practice for five years before he passed away. Every day I strive to strengthen his legacy by helping others solve their dental concerns through gentle, personalized care. 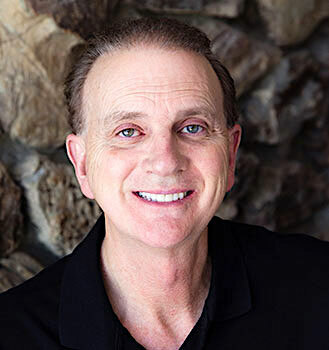 In the more than 30 years I’ve been practicing, there have been incredible advances in dentistry. We can now do so many more things, painlessly, and deliver results that stand the test of time. Each year, I take numerous continuing education courses in order to stay current on new techniques, materials, and technology. It’s essential for me to be able to evaluate the strengths and weaknesses of each in order to determine if they’re the best options for my patients. I’m an active member of the San Gabriel Valley Dental Society, California Dental Association, and American Dental Association. These organizations enable me to interact with and learn from my peers on a regular basis, along with leading researchers and practitioners. I grew up in Pasadena and now live in La Cañada Flintridge. 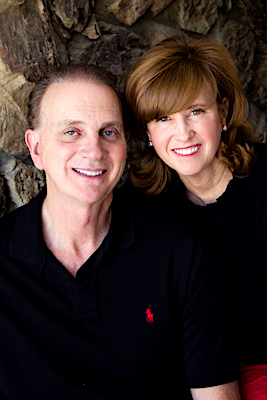 My wife Lisa and I have been married for more than 35 years. We have five children, four of whom are married, and nine grandchildren. Our youngest child is currently in college. We also have two standard Poodles, Ruby and Milo, who love to go hiking with us. When I’m not working, you might find me out cruising in my 1964 ½ Mustang convertible or trying to improve my recently acquired golf game. I also enjoy watching the Dodgers and Lakers, movies, hiking the trails and hills of the SGV, and visiting with family. I’m a 30+ year volunteer for the Pasadena Tournament of Roses and have been a volunteer dentist for the Young and Healthy program. Additionally, I’ve served as a Scoutmaster three times for Boy Scouts of America and am an Eagle Scout myself. I’m also a director for the La Cañada Flintridge Educational Foundation and an active member and volunteer in my church.